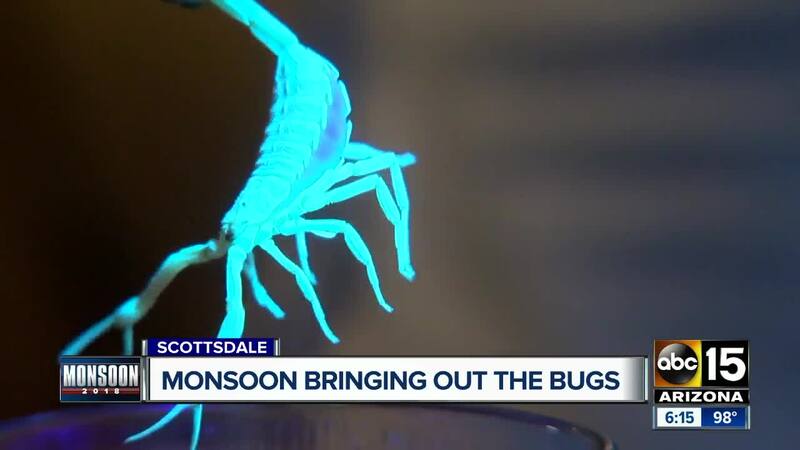 The rain and humidity during the Arizona monsoon season brings out all kinds of critters, big and small. The peskiest ones you'll see in large numbers are ants and mosquitoes. Mosquitoes are especially attracted to standing water and will lay their eggs on top of still pools of water. David Coleman, the owner of Precise Pest Control Solutions, said it doesn't even matter if the standing water is in the backyard of a home two to three doors down the street, it could still become your problem. Getting completely rid of mosquitoes on your property requires attacking the source directly. While the state and counties worked to set tens of thousands of traps in public areas, the best way you can protect yourself is by using repellant and wearing long sleeve clothing when you're outdoors. Along with roaches and other flying insects like flies and gnats, Coleman said the most calls his company was getting right now was from people seeing an influx of scorpions on their property. "The heavy rains infiltrate underneath things and come running. They love moisture but don't like to be in deep water, they can live in a pool but only for a day or two," explained Coleman. He said Scorpions typically like temperatures between 65-90 degrees so, on a hot triple digit day, they would hide under rocks, bricks, and other shady areas. Even those of you who religiously treat your homes for scorpions could expect to see a living creature or two get through your walls. 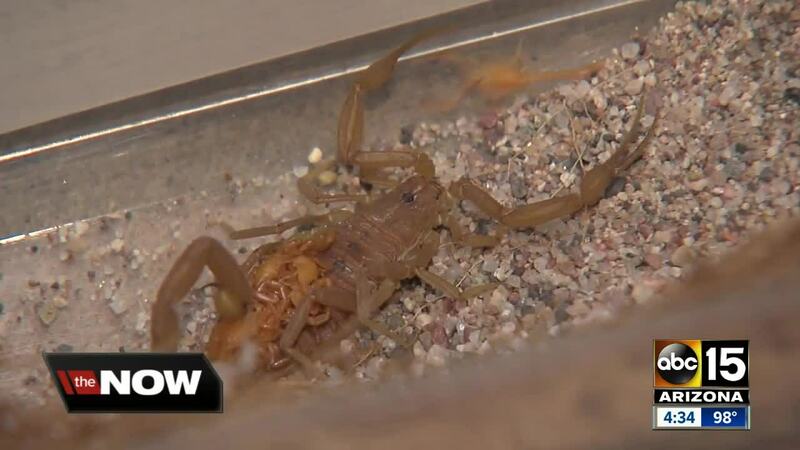 "Most residual pesticides it can take up to 72 hours to take full effect on a scorpion because they die through absorption and not ingestion," said Coleman. Another Arizona native that could get flooded out of its home this time of year is the tarantula. "Once we get a flood of water it floods holes. People call me and go, oh my gosh I've had four Tarantulas in the last week. It's simple; I can go to their yard and find holes in their yard. They got flushed out of there," said Coleman. Toads and frogs are other critters that come hopping out during the Monsoon. The good news is that they will eat bugs, but the bad news, some of these creatures can be very dangerous. Species such as the Sonoran desert toad secrete a poison that could kill your pet within 15 minutes and cause severe health problems for a young child.